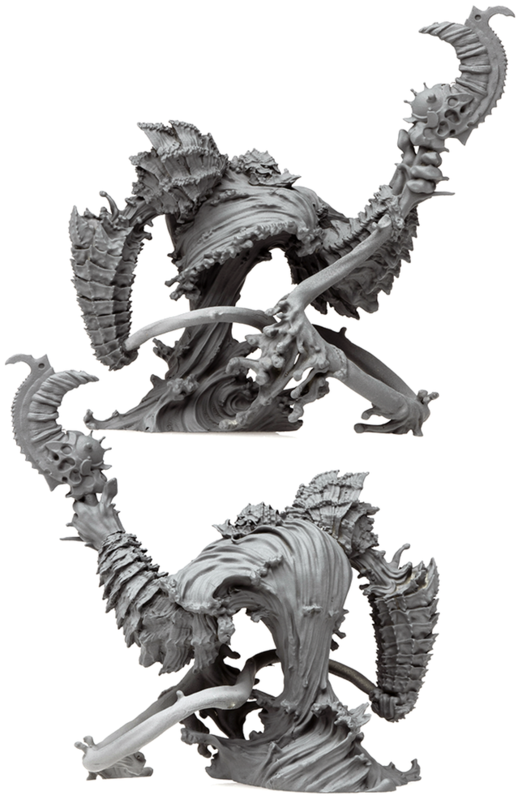 The Massive Darkness Kickstarter campaign shot off like a rocket the other day. They're already over a million dollars in funding and there's still lots of time left on the clock. 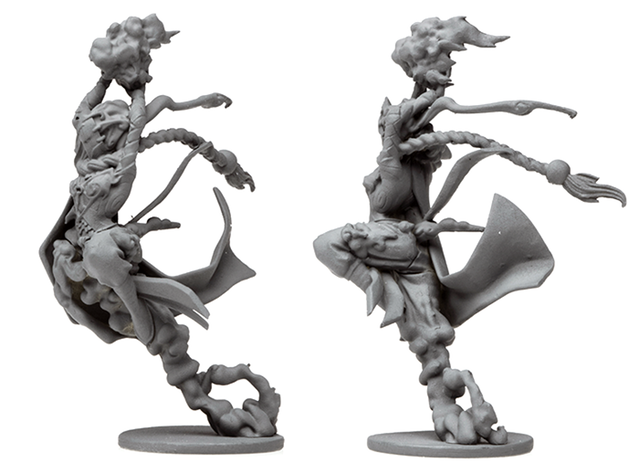 There's been a lot of unlocked stretch goals already, but there's always more to go. To help things along, the first add-on has been added on. They're going elementary with this one. 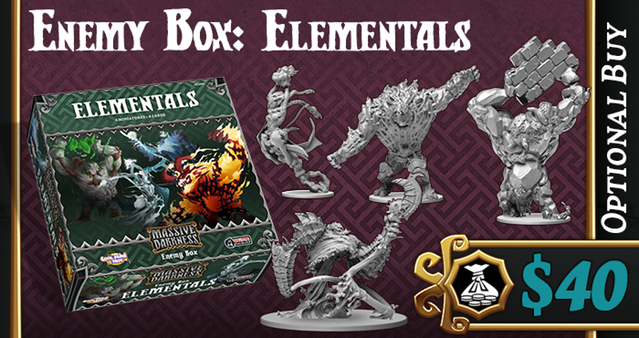 The Elementals box adds four new Roaming Monsters to the game. 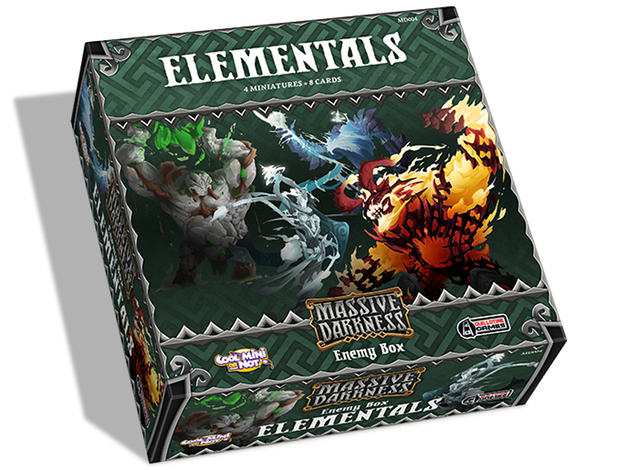 As you'd expect from the name, they're Elementals. There's Air, Fire, Earth, and Water (as you do). 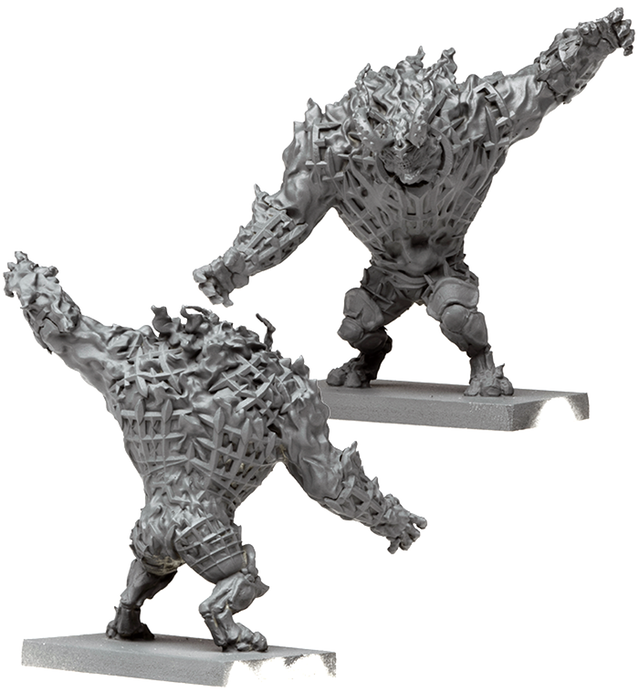 The box comes with the four large minis as well as the 8 stat cards in order to use them in the game. 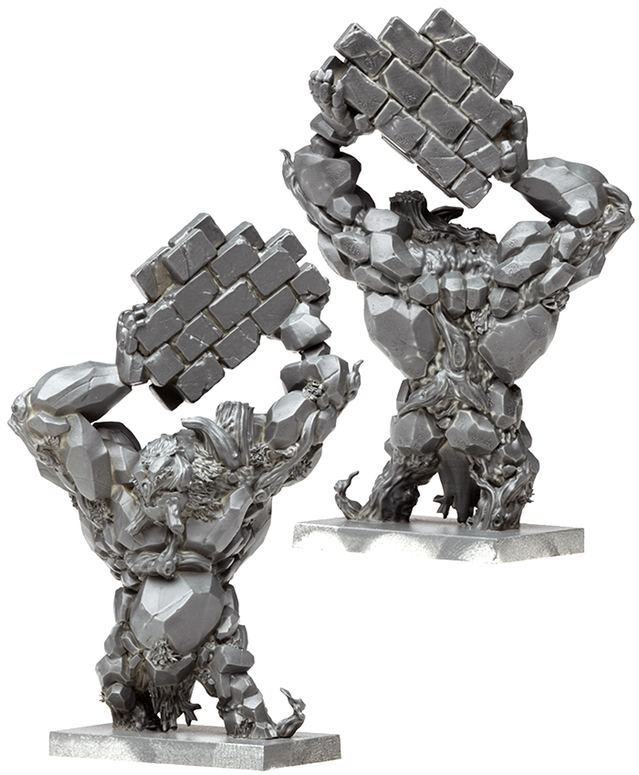 27 days to jump in on the action!